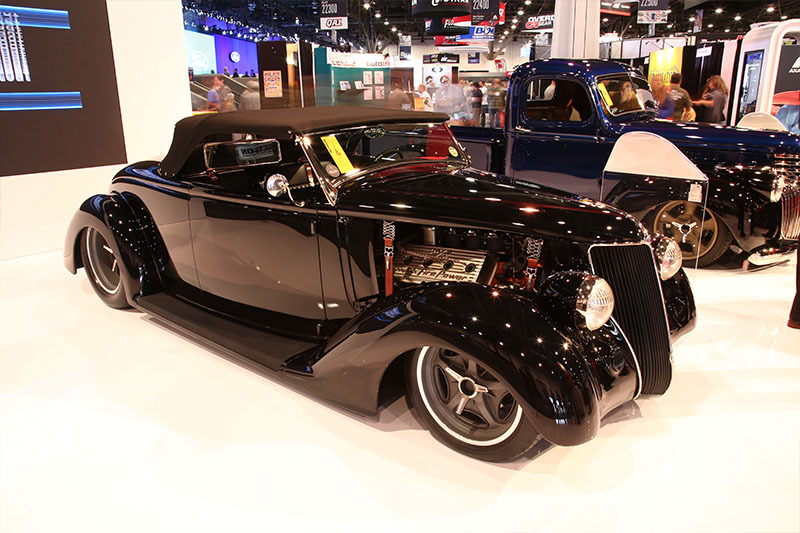 Featuring customizers with a car or truck on display at the world-renowned SEMA Show, the competition shines the spotlight on the amazing talents and craftsmanship of builders who have already proven themselves by being a part of the premier automotive trade event in the world. It allows enthusiasts and fans a chance to learn the stories behind the builds, get to know the builders and be inspired along the way. The Battle of the Builders competition celebrates the amazing craftsmanship and talents of people who create and build some of the most unique cars in the world as judged by industry authorities RJ De Vera from Meguiar’s, David Freiburger from MotorTrend’s Roadkill and Fred Williams from MotorTrend’s Dirt Every Day. In addition to the competition, the SEMA: Battle of the Builders program includes features on SEMA’s expanded Young Guns regional program. 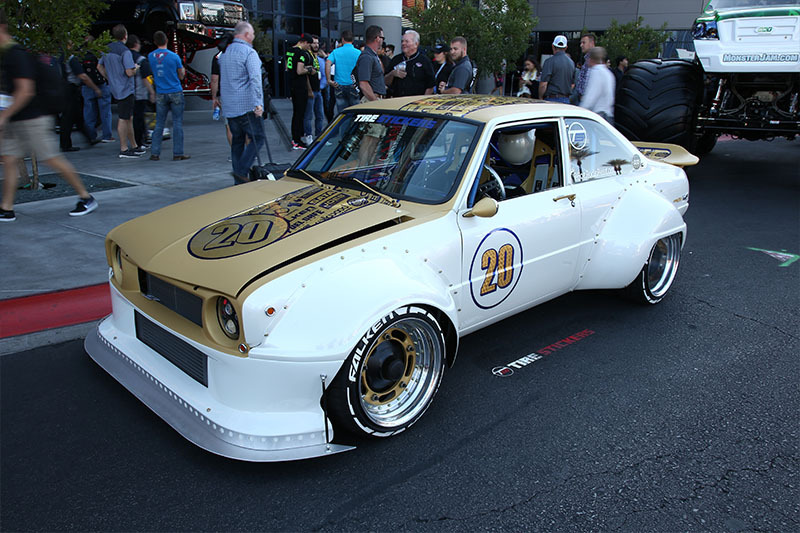 Young Guns provided 14 up-and-coming builders (age 27 and younger) the opportunity to showcase their cars and talents at the 2018 SEMA Show. 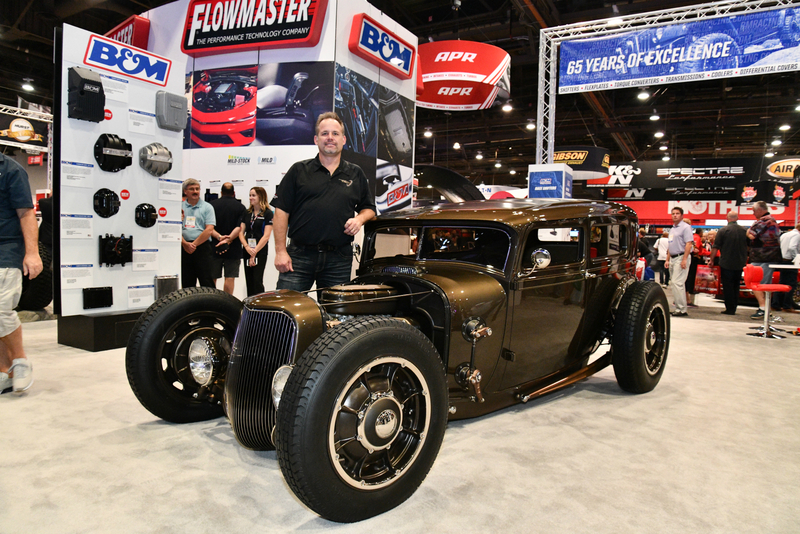 Winners from throughout the country were awarded an all-expenses paid trip to SEMA, transportation of the winner’s vehicle, a designated feature spot, and entry into the Battle of the Builders competition. A cast of social media influencers also contributed to SEMA: Battle of the Builders, including Sarah Raegan Greenwood (Sarah-n-Tuned); Emelia Hartford (@ms.emelia); Jack Milne (DURTYMAX, JACK); Chris Petruccio (Krispy Media); Chris Steinbacher (B is to Build); and Dustin Williams (@dustinw). SEMA: Battle of the Builders premieres Monday, January 7, 2019, at 10 PM ET/PT on the MotorTrend TV Network and MotorTrend App. 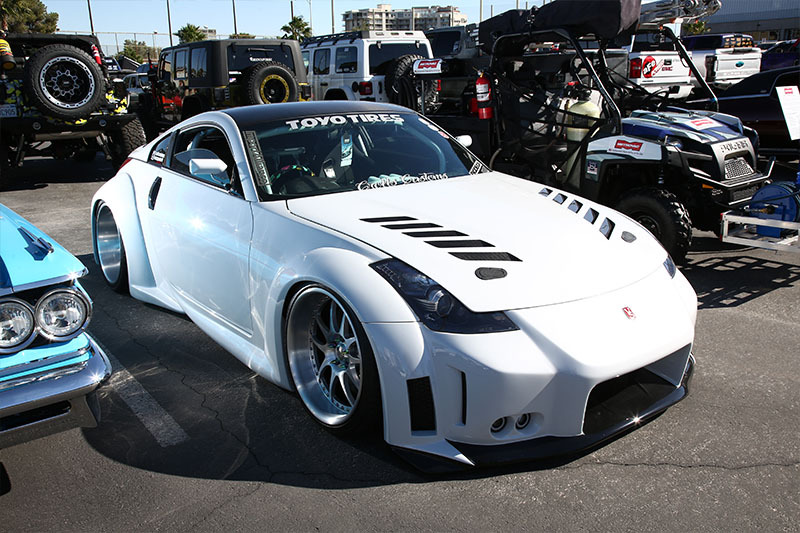 2004 Nissan 350Z | Booth #23429, Prosport Gauges Inc.
Muzzy Yousefi - Middletown, DE 2004 Nissan 350Z Prosport Gauges Inc. Check out these behind-the-scenes videos, then tune in to Motor Trend TV to see the entire special on the SEMA Battle of the Builders Competition. For more details about SEMA Battle of the Builders visit www.sema.org/botb. 1932 Ford Tudor | Ford Motor Co. 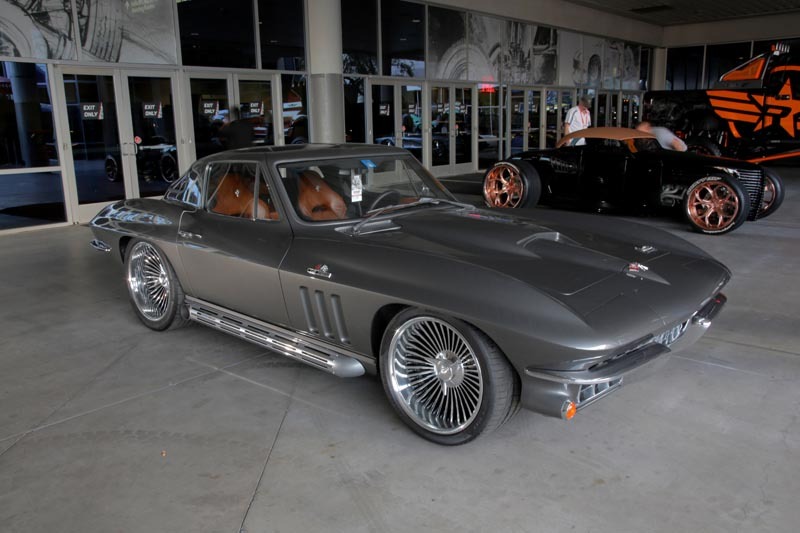 The Corvette was a Select Six winner at Chicago World of Wheels, and received 1st in Class awards in best interiors, engine compartments, etc. The car has custom AME independent Chassis, floorpans, wheel houses, exhaust, bumpers, & interior, flush-mounted glass, machined trim parts, cross-ram EFI, Infinity box wireless control system, Kicker audio system, dash iPad interface, Tremec six-speed, extended body valences/rocker. Leach, owner of CAL Automotive Creations in Bennington, Neb., is a previous Ridler winner, 2014 Trend Setter of the Year, Ford Design Award winner, Barrett-Jackson Cup winner, and Top 10 Battle of the Builders finalist in 2015. The car has Art deco finned suspension and chassis, cast-looking interior and components. Coach-built body with attitude and elegance combining old-school hot rodding. 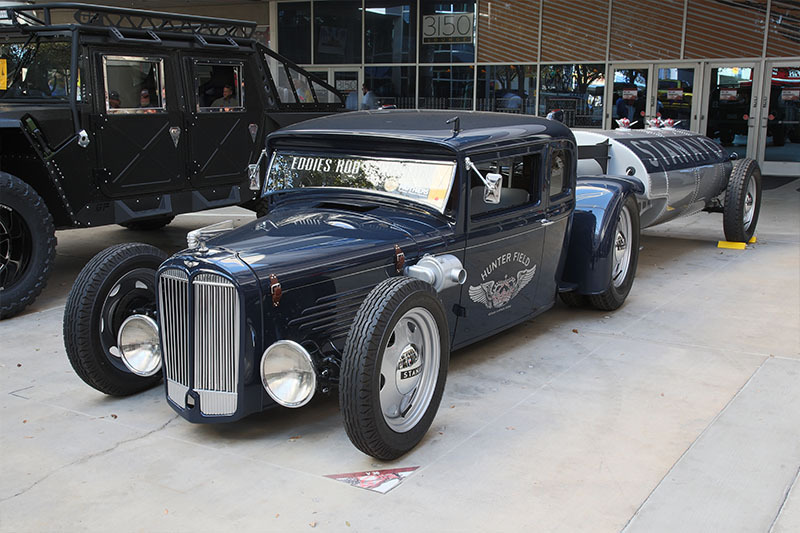 The project started with a clean 1932 Ford Tudor body canvas. All planned modifications were laid out before any cutting began. Certain dimensions were not determined until the body had been on and off the frame for the desired look. 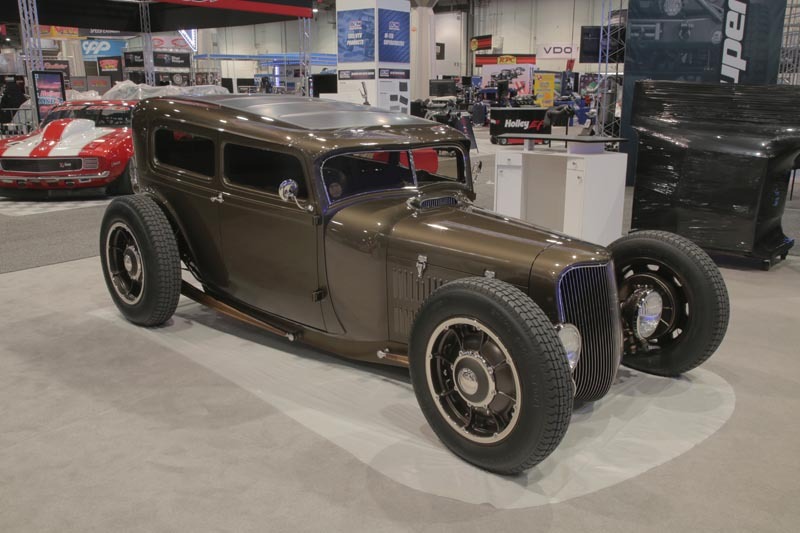 Johnson was a 2015 SEMA Battle of the Builders Top 3 finalist. The car is a SplitRay 2017 Pirelli Great 8 cut down the middle and widened 6 3/8. It has a Z06-inspired interior, LS9 with a one-off supercharger system, and a six-speed transmission. Multiple computers provide complete control of the car with a Bluetooth device. I took over 20,000 hours to build. 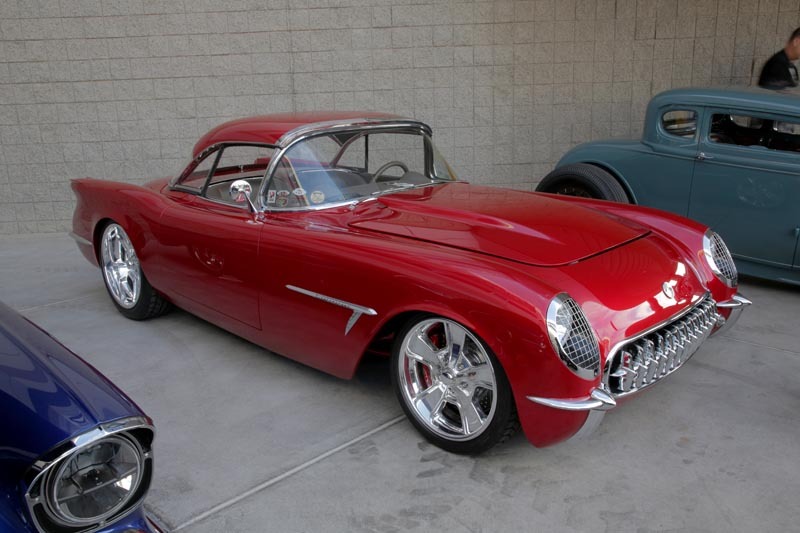 Built by Rad Rides by Troy, whose mission is to build the finest hand-crafted automobiles in the world. 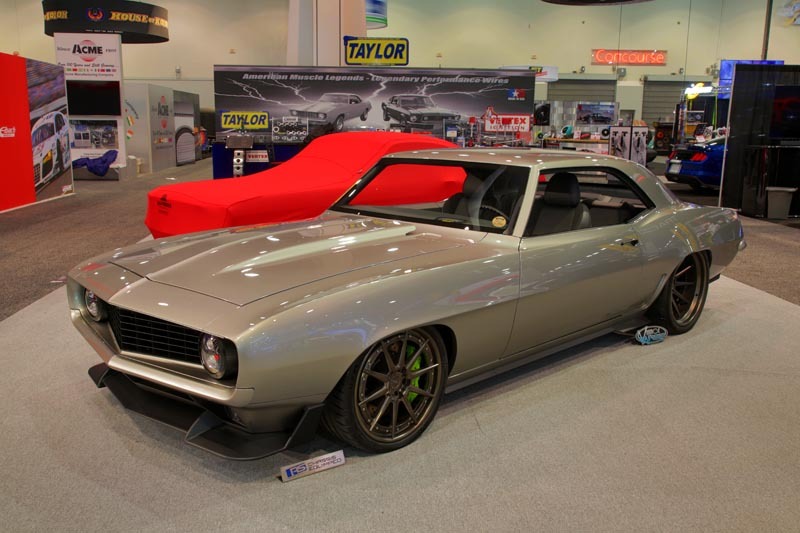 A modern race-inspired Camaro with an LT4 and T56, hand-built front spoiler and side skirts, custom lower rear diffuser/valance, one-off wheels, fully fabbed underhood sheet metal, and tremendous amounts of metal fab on the entire car. The Roadster Shop has delivered cars to compete specifically in Battle of the Builders the last four years. 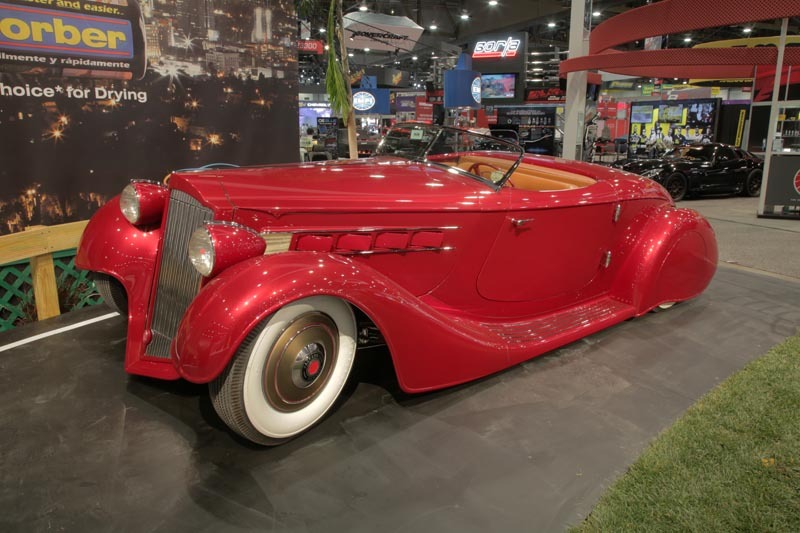 The Hollywood Hot Rods Packard roadster is a one-off steel coach built from design drawings. The car features a Roadster Shop Fast Track chassis, 440ci LSX Motor Dry Sump w/ Flex Fuel, TR6060 Transmission, completely fabricated front and rear Valance, Rocker extensions, engine bay, flush-fitted front and rear glass, shaved drip rails, Infinity Wire multiplex system, custom one-off interior, custom Dakota digital gauge cluster, ADV1 wheels, and Wilwood brakes. “We’re just doing what we love to do,” said Miranda. Griffey is the owner of Hot Rods & Restorations in Knoxville, Tenn. He has been in business building hot rods and restoring concours, vintage and classic cars for over 36 years. After years of building cars for customers, he and his wife decided it was time to do a build for themselves. 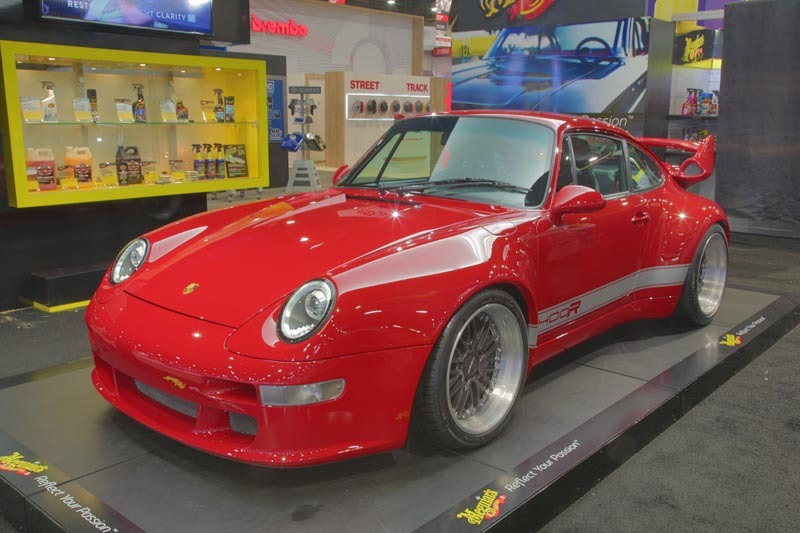 Bespoke rebuild of the Porsche 993, an air-cooled car converted into a modern masterpiece that has full carbon-fiber wide-body construction. *Check your local cable and satellite providers for details. Open to all customizers with a car or truck on display at the SEMA Show, the competition shines the spotlight on the amazing talents and craftsmanship of builders who have already proven themselves by being a part of the premier automotive trade event in the world. It allows enthusiasts and fans a chance to learn the stories behind the builds, get to know the builders and be inspired along the way. Young, up-and-coming builders who are under the age of 27 (as of November 8, 2019) will receive special recognition as a ‘Young Gun’ in the competition, designed to spotlight and inspire future industry icons. Builders who meet the age requirements of a Young Gun but may not have a confirmed feature or booth vehicle for the 2019 SEMA Show may be awarded a ‘SEMA Prize Package’ from one of our regional partners and invited to compete in the competition in Las Vegas. Click Young Gun Info below for details. Submit vehicle details and THREE photos or renderings here (PRIOR to the August 30, 2019 Deadline). Or, win a SEMA Prize Package at one of the regional car shows to compete in the 2019 SEMA Battle of the Builders. The day before the show, applicant vehicles are confirmed to be onsite at the 2019 SEMA Show. Remember, the competition is open to all cars and trucks on display at the SEMA Show. Applying for BOTB does not grant you placement. The vehicle details and images provided in the application are reviewed and used to determine which cars and trucks advance to the next round, at which time the vehicles will be evaluated in person at the SEMA Show in Las Vegas. The Top 40 will be announced on the opening day of the SEMA Show. The judges will then select the final Twelve which will be announced later in the week. The Top Twelve vehicles will be re-located to a designated area where the twelve finalists will vote amongst themselves who will be named the winner. 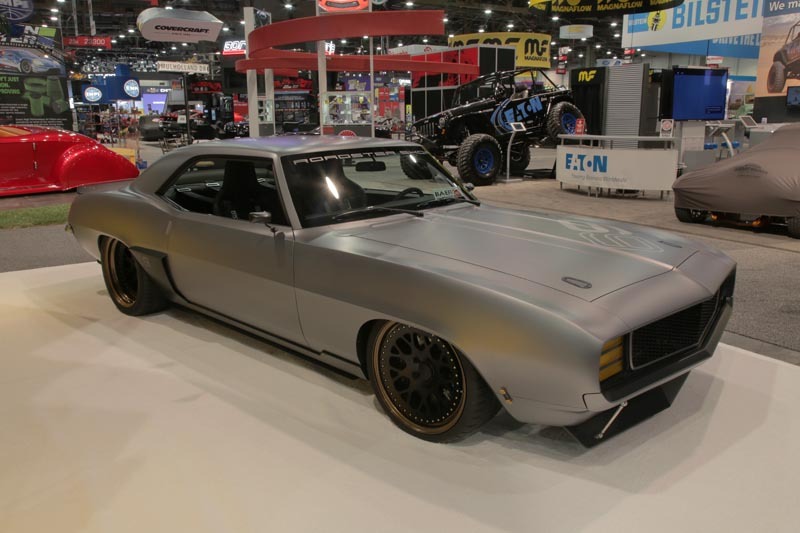 The Top Twelve builds will lead the SEMA Cruise over to SEMA Ignited, the official after party of the SEMA Show, where the winner is announced. All feature and booth vehicles that have been accepted by SEMA for display at the 2019 SEMA Show and are not currently under embargo at the time of entry. Builders with vehicles from all market segments, including trucks, hot rods, street rods, off-road, motorsports, sport compacts, luxury exotics and the like are encouraged to enter. Young, up-and-coming builders who are under the age of 27 (as of November 8, 2019) will receive special recognition as a 'Young Gun' in the competition, designed to spotlight and inspire future industry icons. Builders age 27 or younger (as of November 8, 2019) who may not already have an approved feature or booth vehicle for the 2019 SEMA Show can still qualify to enter the competition through our regional partners who will be awarding a SEMA Young Guns Prize Package. This prize package includes an all-expenses paid trip for two, transportation of the winner’s vehicle, a designated feature spot at the 2019 SEMA Show, and automatic entry into the 2019 SEMA Battle of the Builders competition! *To qualify for the Young Gun designation at each of the regional shows, a builder must be 27 or younger by the final night of the SEMA Show, November 8, 2019, and must be designated as the winner of the promoter’s show, or achieve the highest overall finish within a group of the show’s young builders, or be designated as the winner of the category offered by the show. Click here for detailed rules and information. 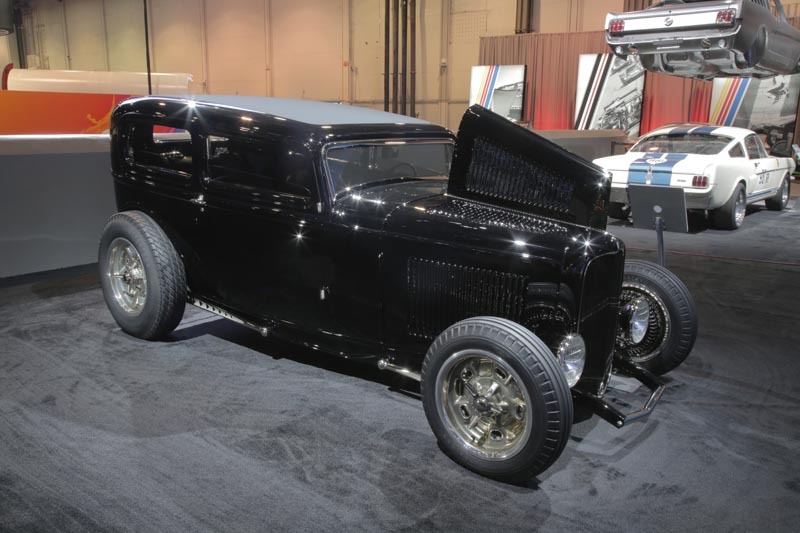 The annual SEMA show in Las Vegas every year attracts some of the finest car builders from all over the country as they show off their latest builds and vie for the coveted Battle of the Builders title. This year marks the fifth annual for Battle of the Builders, and nearly 300 entries were considered for this highly competitive contest. Battle of the Builders has quickly become the marquee competition among professional tuners. Builders from around the globe come to Las Vegas to showcase their talents in various categories in the quest to become 2018 SEMA winners. 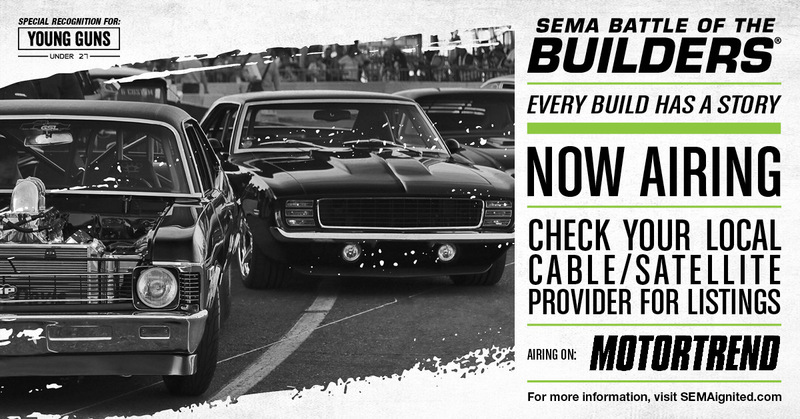 Featuring some of the wildest and best built machines on Earth, BOTB has been a welcome addition to the SEMA Show. 1I’m working on a vehicle build and would like to enter the SEMA Battle of the Builders® (BOTB). How do I enter the competition? 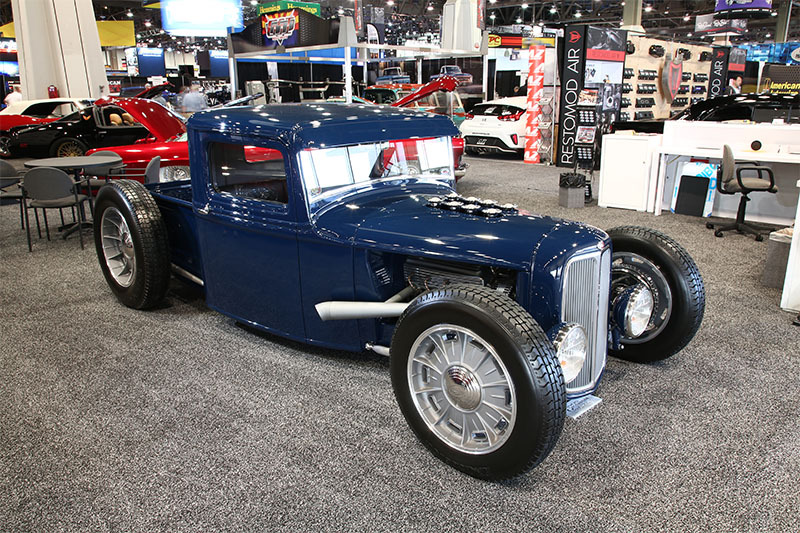 First, all builders with a vehicle displaying at the 2019 SEMA Show may enter the competition at >www.semashow.com/botb before the deadline on August 30, 2019. 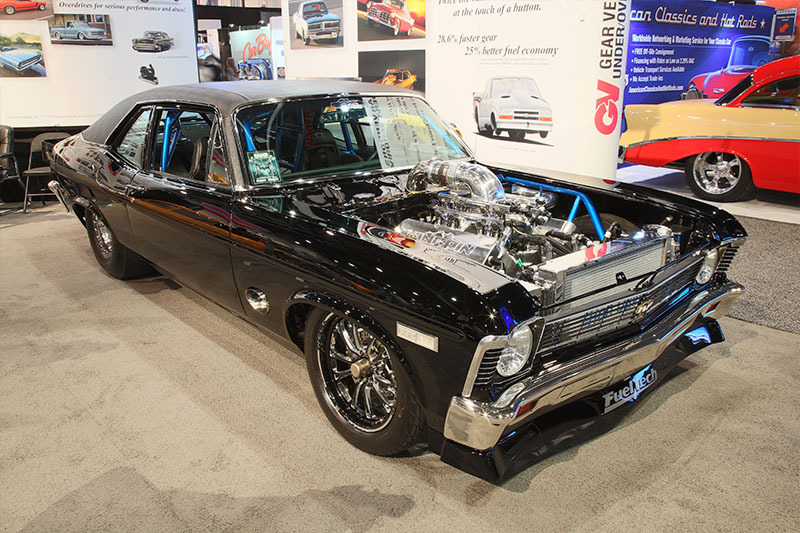 Photos can be uploaded directly onto the online applications, which judges will use to select the finalists after vehicles are confirmed to be onsite at the 2019 SEMA Show in Las Vegas, NV. The second way builders may participate in the 2019 SEMA BOTB competition is through the Young Guns program. 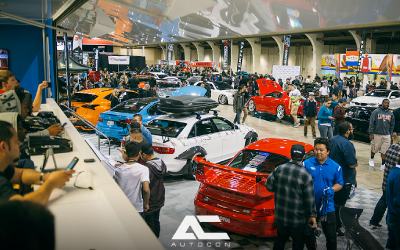 Preselected regional auto shows will award a limited number of BOTB entries to builders age 27 or younger (as of Nov. 8, 2019), who may not already have an approved vehicle for the 2019 SEMA Show. The entries will then be included in the SEMA BOTB and compete among all other participants in the competition. 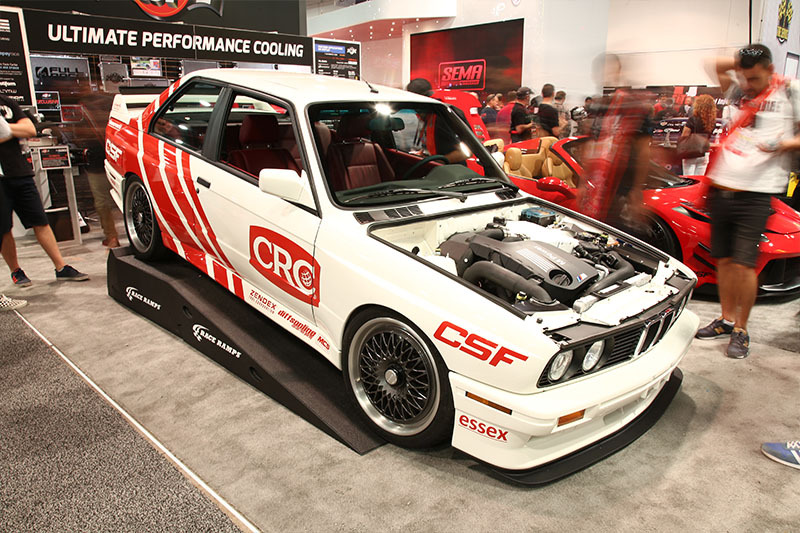 For more information on the Young Guns regional venues, please visit semashow.com/botb. 2If I enter the competition and my application is accepted, will my vehicle be on display at the SEMA Show? Submitting an application for the SEMA Battle of the Builders® competition does not guarantee space for a vehicle to be on display at the SEMA Show in Las Vegas, NV. 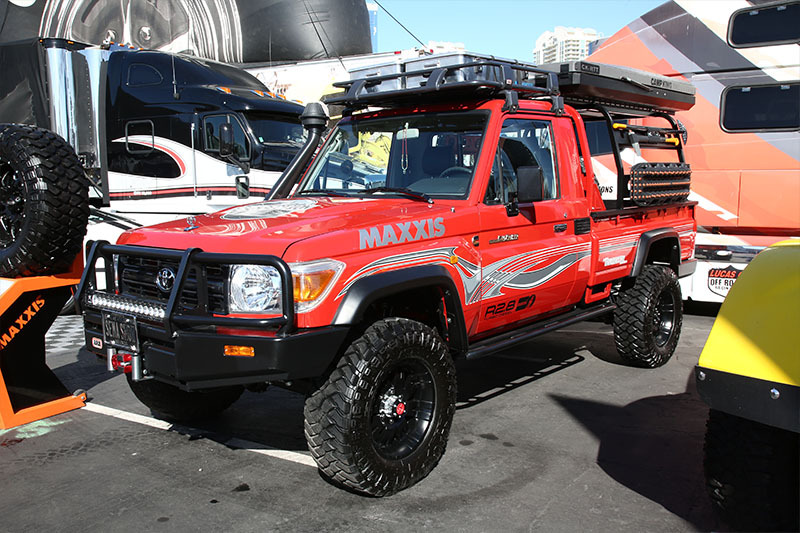 All vehicles at the SEMA Show must be sponsored by an exhibiting manufacturer. Exhibitors may choose to display vehicles in their booths, or they may purchase a feature vehicle spot. However, the spot may only be reserved by an exhibitor. SEMA BOTB applications for vehicles that are not on display at the SEMA Show will not qualify to advance in the BOTB competition. Only vehicles on display will advance in the competition. 3 How can I participate in the SEMA BOTB as a Young Gun through a regional partner? Builders under the age of 27 who do not have a confirmed SEMA Show feature or booth vehicle may be able to compete in the SEMA BOTB through a participating consumer auto show. Visit www.semayoungguns.com for more information. 4 Why is there a separate Young Guns category? How does it work? Supporting and inspiring young builders is crucial to the future of the automotive specialty equipment market. The Young Guns category is designed to encourage young builders to pursue their passions and shines the light on the up-and-coming builders. 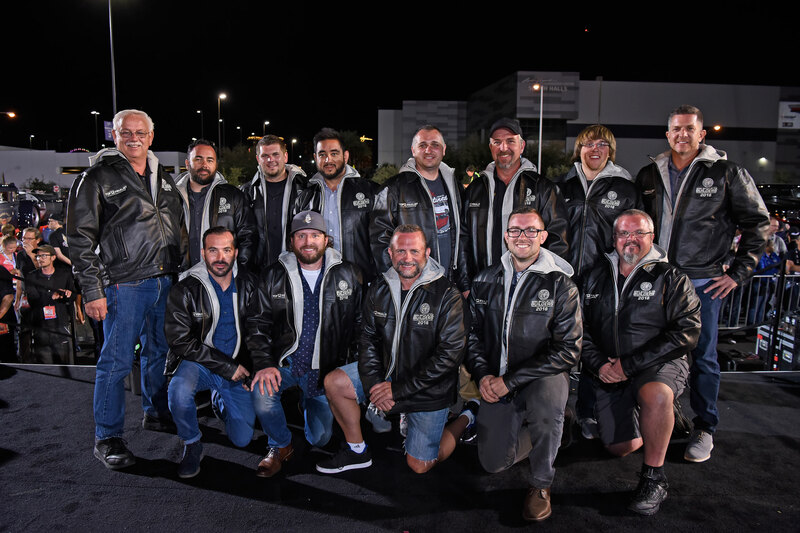 The Young Guns is a designation within the overall BOTB competition to recognize builders at the SEMA Show who are under the age of 27 (as of Nov. 8, 2019). Those who have selected the Young Guns category on the online application, as well as young builders who were awarded a Young Guns prize package from a regional partner are eligible to participate. All competitors in the Young Guns category will be competing against the overall field of builders, regardless of how they entered the competition. 5 How are the vehicles judged? The Top 12 finalists then become the judges, and select from amongst themselves who is ultimately named the Top Builder of the SEMA BOTB. 6 What’s the process to narrow down the competition? Step 6: The builders of the Top 12 will become the judges and select who will be named the winner. 7 Where is the winner announced? The Top 40 finalists will be announced on the first day of the SEMA Show (Tuesday, October 31). The Top 12 are announced later during the week at the SEMA Show. 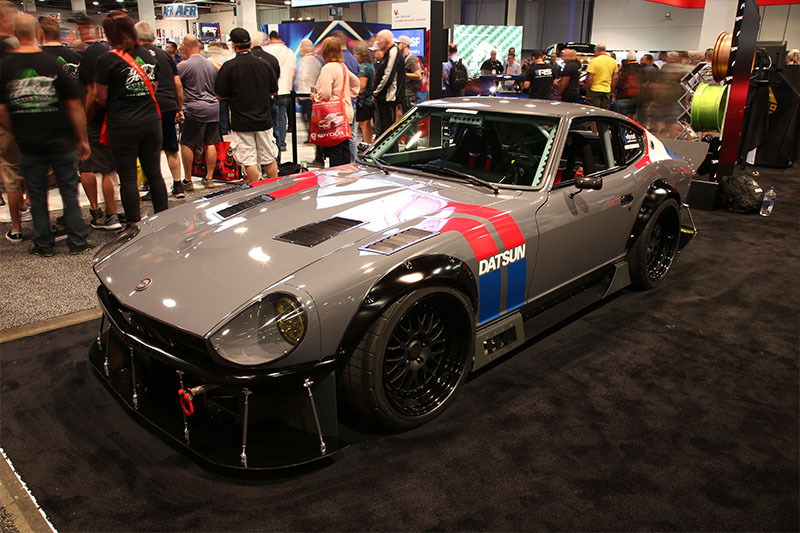 On the last day of the SEMA Show (Friday, Nov. 3), the Top 12 participants will evaluate and judge each other’s entry at the SEMA Show, before leading the SEMA Cruise to the official SEMA Show after party, SEMA Ignited. 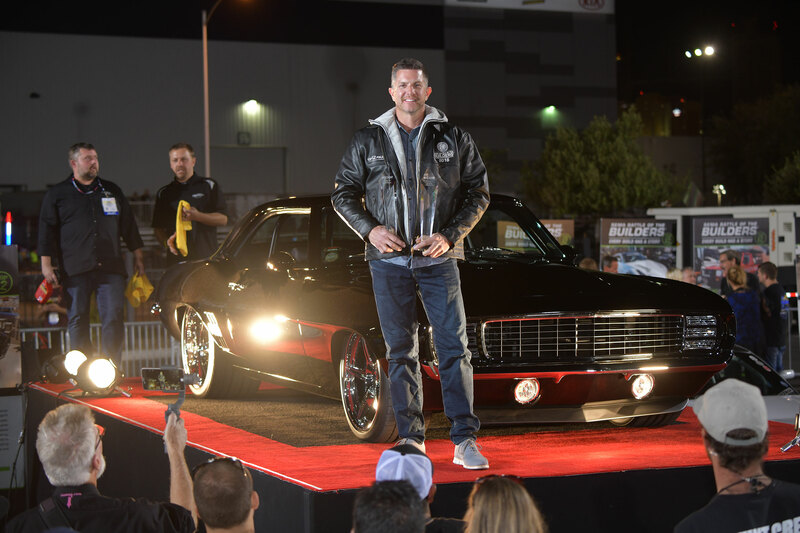 At SEMA Ignited, consumers, media and industry professionals will watch as the winner is announced and a television production team films for a television special that will air on the Velocity Network. 8 Why did the best vehicle not win? 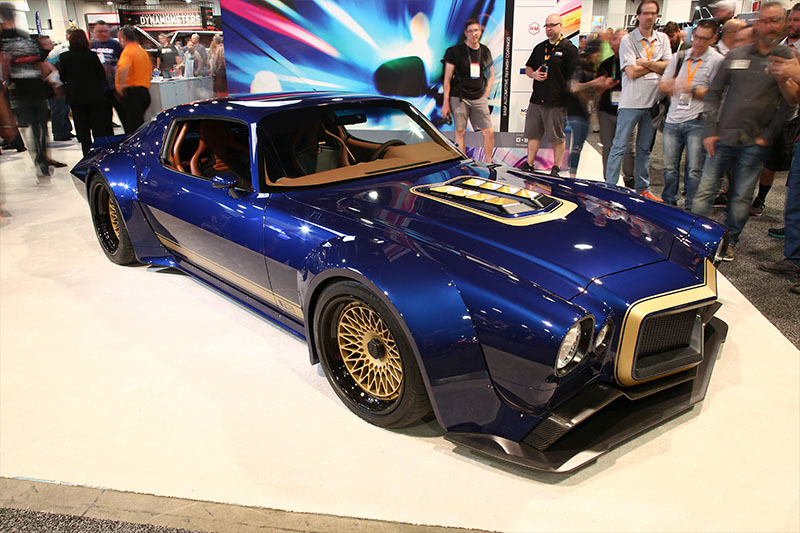 Each vehicle at the SEMA Show is a unique, one-of-a-kind creation. Personal tastes may vary and opinions will differ. Industry experts with years of experience serve as judges and narrow the entries down to finalists. However, it is the Top 12 finalists themselves who will be judging, voting and selecting the ultimate winner. As builders, the finalists know and understand the challenges and complexity involved with a vehicle build. They are able to assess and determine the creativity, craftsmanship and skill that went into each vehicle, before selecting the winner. 9 What time is SEMA Ignited? SEMA Show attendees get in free with their show badge. 10 Where can I find information regarding a feature vehicle spot? 11 Can I be in a Top Ten truck/hot rod/sport compact and be a Top Ten Young Gun? A vehicle will be in one category. If a builder’s vehicle is identified as one that is in consideration of either the Hot Rod, Tuner, or Truck categories, it will be listed in those categories as top 10 of that category. 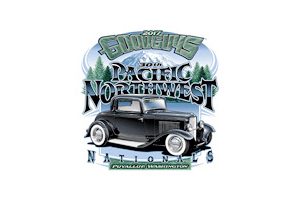 Otherwise, if the vehicle builder is a Young Gun (age 27 or younger on November 8th, 2019) and does not earn a spot in the top ten of the Hot Rod, Tuner, or Truck category, the vehicle may still be considered for the Young Guns category. A vehicle can only be in one category. 12 If I win a SEMA Young Guns Prize Package, where will my car be placed? 13 Can you connect me with a manufacturer that needs a car for their booth? 14 Can I be present when the judges look at my car? While it is certainly possible that the judges may be viewing your vehicle during hours that you are there, it is not possible to schedule a time, nor coordinate when the judges will be viewing your vehicle. Vehicles will be viewed throughout all hours of Sunday and Monday. It is not a requirement that you are present when the judges will be viewing your vehicle. 15my vehicle will be under a cover and unveiled at the start of the SEMA Show. Are the judges still able to view my vehicle on Monday? Vehicles are not permitted to be under any embargo prior to the start of the 2019 SEMA Show. 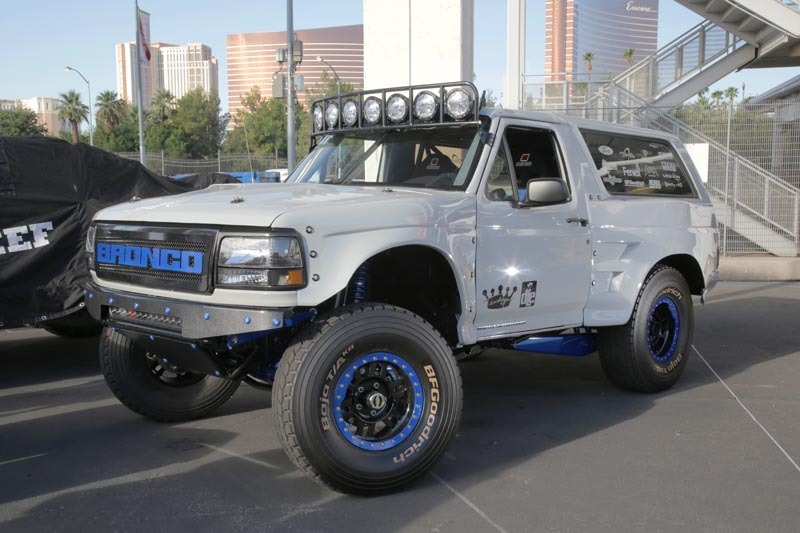 Any vehicle that cannot be available for public display prior to the opening of the show will not be considered for the 2019 SEMA Show Battle of the Builders®. INTERESTED IN A CAREER IN THE AUTOMOTIVE INDUSTRY? 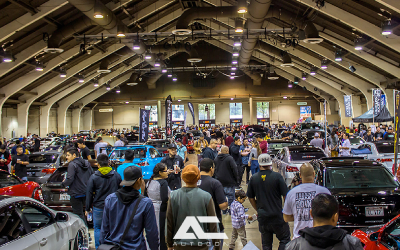 More than just a car show event, AutoCon is a celebration of life, individuality and community. An automotive experience like no other. The show features the world’s top show vehicles and notable industry brands all under one roof while creating a unique experience allowing attendees the opportunity to connect and share common interests with one another. 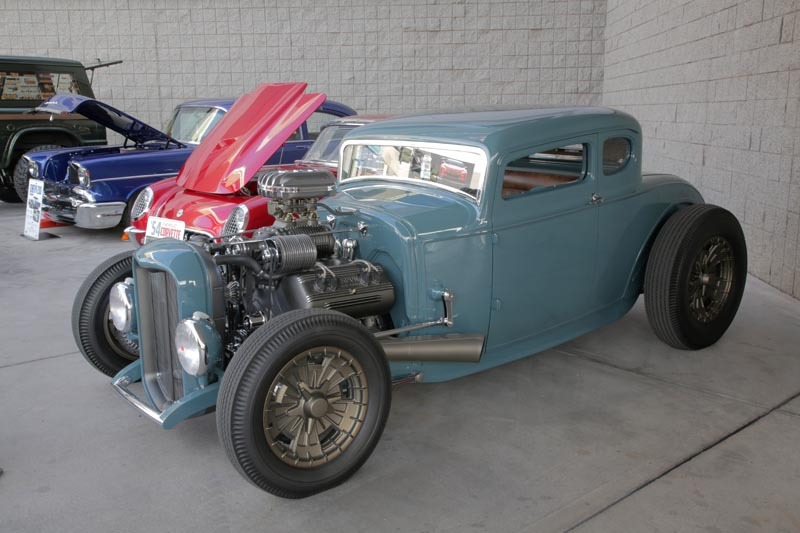 Over 2,500 American Made or Powered Rods, Customs, Classics, Muscle Cars and Trucks of all years. Indoor Car Show - Featuring Special Camaro Display Celebrating the 50th Anniversary of the Camaro. Cruiser Rama – Special Indoor Custom Bicycle Exhibit. Goodguys AutoCross. 2017 West Coast Muscle Car Shootout presented by Fuel Curve - details. Nitro Thunderfest Dragster Exhibition. Burn Out Competition. Vendor & Manufacturer Exhibits. Model & Pedal Car Show. Swap Meet. Cars 4 Sale Corral. Live Music Entertainment. Kids Zone - Free Arts and crafts, games, prizes & more! Kids Free Revell Model Car Make-N-Take - Get your kids involved in model building. Pinstripers Brush Bash. Tri-Valley Qaurter Midgets Exhibition. Over 4,000 Rods, Customs, Classics, Muscle Cars and Trucks thru '72. K&N Filters All American Sunday welcoming American made or powered vehicles of all years. Goodguys Twilight Autocross Saturday fun runs. Goodguys Autocross-Duel in Des Moines presented by Optima Batteries. Saturday Night Fireworks Extravaganza. Vendor & Manufacturer Exhibits. Swap Meet. Cars 4 Sale Corral. Model Pedal Car Show. Live Music Entertainment with Missbehavin and Richie Lee and the Fabulous 50’s. Freestyle Motocross with Team FMX. Goodgals Arts & Crafts Gallery. Kids Zone - Free Arts and crafts, games, prizes & more! Kids Free Revell Model Car Make-N-Take - Get your kids involved in model building. RC Car Exhibition, Hosted by the Central Iowa RC Addicts. Goodguys Nitro Thunderfest. Hot Rod Repair by ISRA. Feature Car Club: Old Iron Company. Over 6,500 Rods, Customs, Classics, Muscle Cars and Trucks thru '72. K&N Filters All American Sunday welcoming American made or powered vehicles of all years. 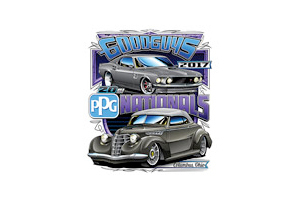 Goodguys Autocross and Sponsor Shootout Racing Competition. Friday Nite Vintage Drags at National Trail Raceway *. Over 450 Vendor & Manufacturer Exhibits. 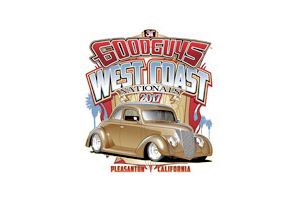 Crowning of the Goodguys 2017 PPG Street Machine of the Year and Goodguys 2017 Classic Instruments Street Rod of the Year. Goodguys Nitro Thunderfest. Indoor Car Show - New this year! New Product Display. Swap Meet. Cars 4 Sale Corral. Model Pedal Car Show. Live Music Entertainment. Goodgals Arts & Crafts Gallery. Hot Rod Seminars - view schedule. People’s Choice Vote at the New Product Competition inside the Bricker Building! Goodguys Trendsetter Reunion. 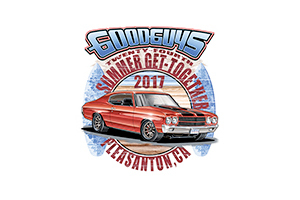 Unveiling of the Goodguys 2017/2018 Giveaway Car. Kids Zone - Free Arts and crafts, games, prizes & more! Valve Cover Races. Kids Free Revell Model Car Make-N-Take - Get your kids involved in model building. It's tradition... and just plain awesome. It's the biggest muscle car party of the year. 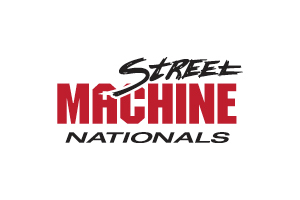 Don't miss the O'Reilly Auto Parts Street Machine Summer Nationals, July 14-16 at the Minnesota State Fairgrounds in St. Paul, MN. Over 2,500 Rods, Customs, Classics, Muscle Cars and Trucks thru '72. Indoor Car Show. Friday Nite Vintage Drags at Pacific Raceways *. K&N Filters All American Sunday welcoming American made or powered vehicles of all years. Saturday Night Twilight Cruising. Vendor & Manufacturer Exhibits. Nitro Thunderfest Dragster Exhibition. Swap Meet. Cars 4 Sale Corral. Super Shopper Shuttle. Model & Pedal Car Show. 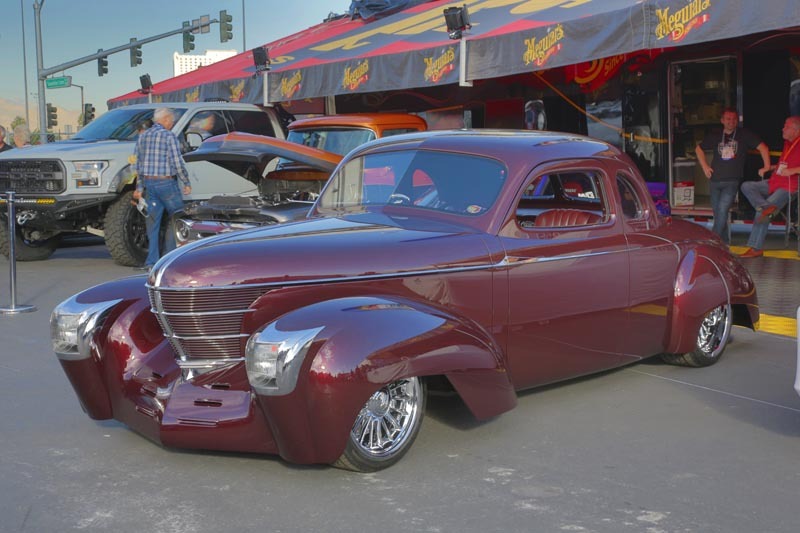 Pinstriper's Brush Bash - see over 50 of the best Pinstripes from the West Coast. Kids Zone - Free Arts and crafts, games, prizes & more! Kids Free Revell Model Car Make-N-Take - Get your kids involved in model building. Live Music Entertainment. Over 3,000 Rods, Customs, Classics, Muscle Cars and Trucks thru '72. 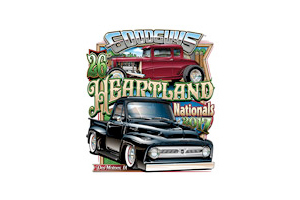 Crowning of America's Most Beautiful Street Rod - More info. Nitro Thunderfest Dragster Exhibition. Vendor & Manufacturer Exhibits. Swap Meet. Cars 4 Sale Corral. Model & Pedal Car Show. Bonneville Display. Indoor Cushman Display. Pinstripers Brush Bash & Auction. Goodgals Gallery. Live music Entertainment. WEME Miniature Engine Display. Kids Zone - Free Arts and crafts, games, prizes & more! Kids Free Revell Model Car Make-N-Take - Get your kids involved in model building. The 4-Wheel Jamboree is a series of family events geared toward the truck, jeep and off-road enthusiast. 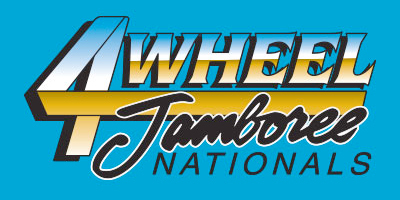 The Lucas Oil 4-Wheel Jamboree Series visits Lima, OH, Bloomsburg, PA and Indianapolis, IN drawing truck enthusiasts from across the country and Canada.